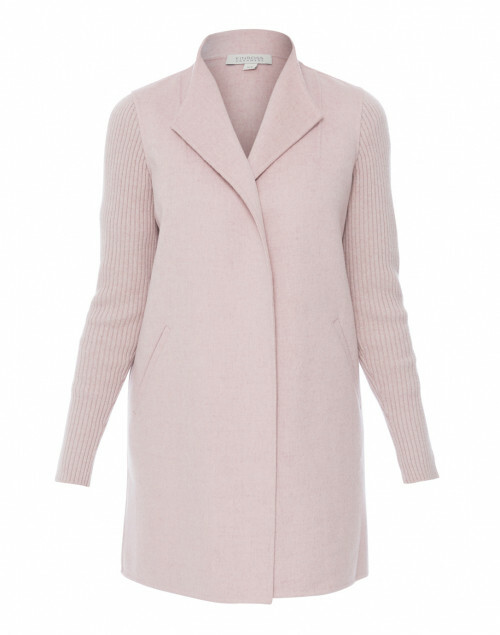 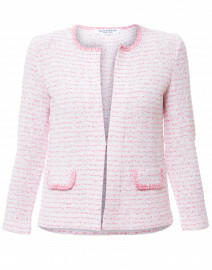 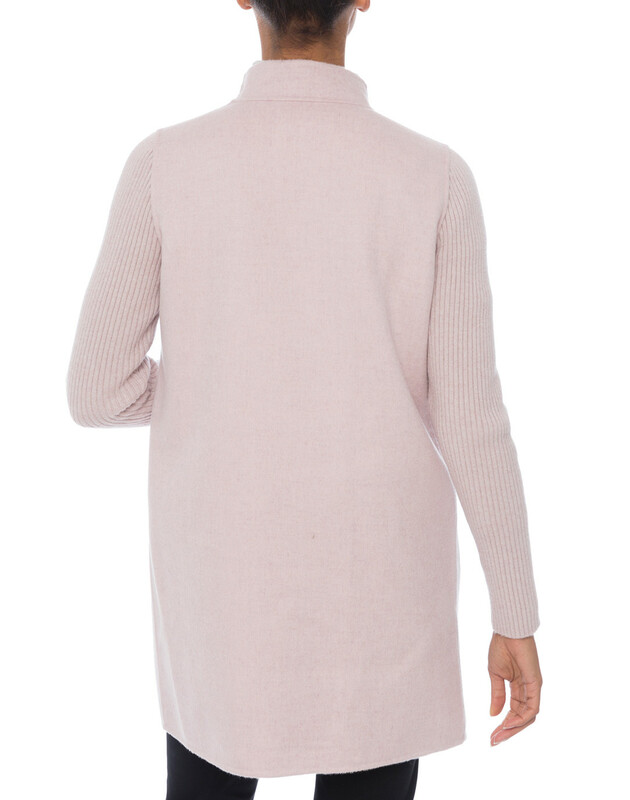 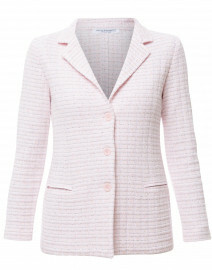 This feminine quartz pale pink coat by Kinross is a perfect example of the brand's understated, elegant aesthetic. 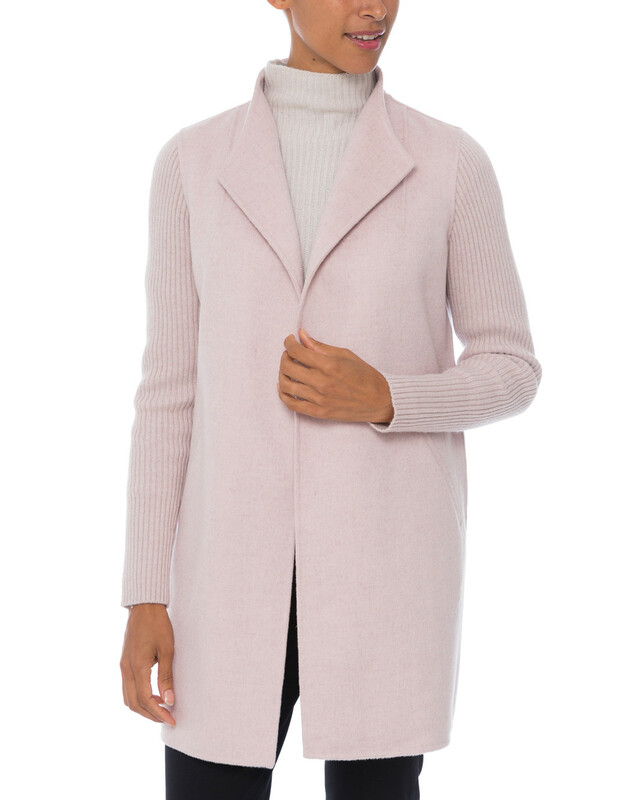 Crafted from soft luxurious cashmere and wool blend, this topper has an open front and ribbed long sleeves. 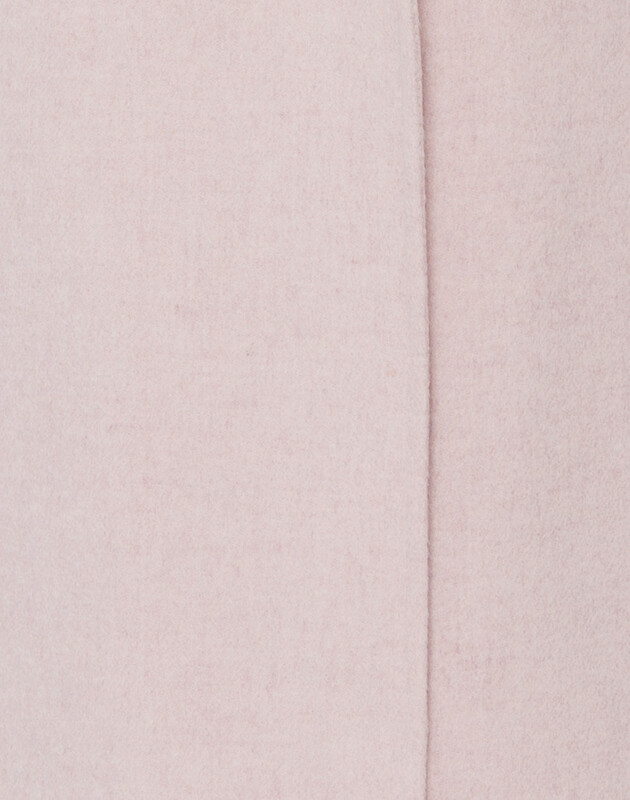 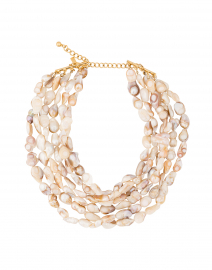 The easy, refined silhouette drapes beautifully for a universally flattering fit. 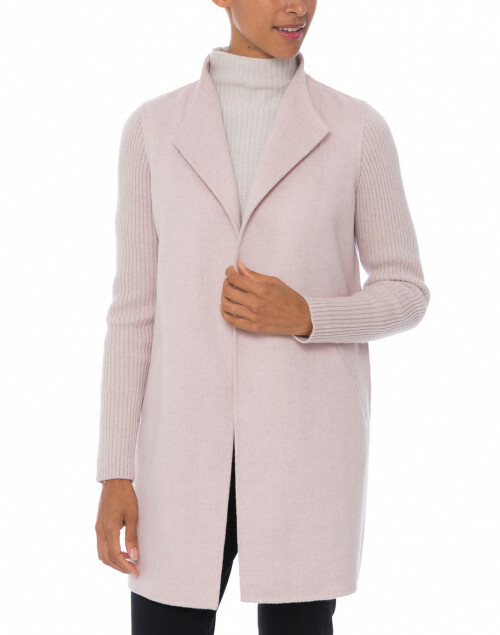 Style yours with a cashmere sweater for a cozy fall look.